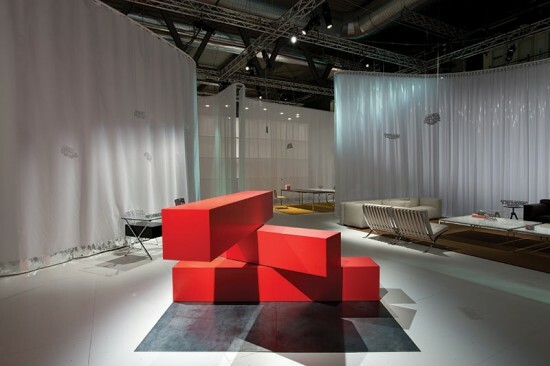 AN had boots on the ground at the 2013 Milan Furniture Fair, taking the air and parsing the differences. This year saw an abundance of collaborations between furniture designers and architects. What follows is the second half of our greatest hits, everything from modular shelving and sleek hardware to design-forward consoles and practical seating. View even more architect-designed furniture from Milan in the first section of our roundup here. 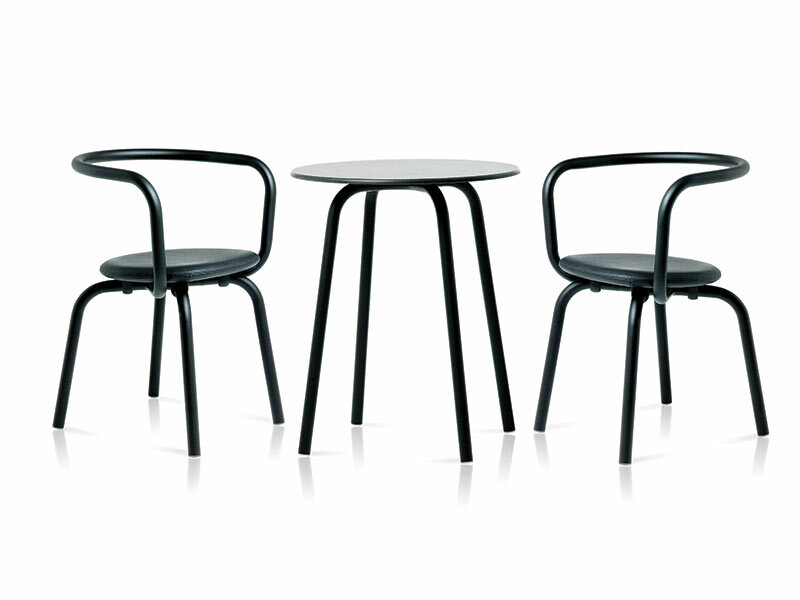 In conjunction with its collaboration with Konstantin Grcic on the mobile interiors of the new Parrish Art Museum, Emeco released the Parrish Collection of modular indoor–outdoor chairs and tables. Chairs are available with three recycled aluminum frame designs that can be combined into four seat options, including one made of locally sourced wood from Lancaster, Pennsylvania. Continuing his collaboration with Flos, Antonio Citterio designed the new Ovetto wall light for functional up- and down-lighting on walls. 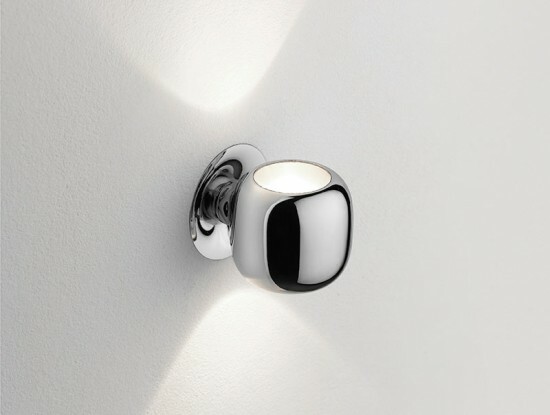 The light can be mounted on a rosette or in its own socket. Other additions to the Wallsystem collection include a long-necked Minikelvin design and Disco, a pivoting head that allows for adjustable directional lighting. Tools for Life from Knoll. Celebrating 75 years of design at this year’s Salone, Knoll introduced its new Tools for Life collection designed by Rem Koolhaas’ practice, OMA. The twelve-piece collection is designed to facilitate the flow between office and social life with adjustable tables and consoles available in a range of Knoll finishes. Dream Chair from Carl Hansen & Son. 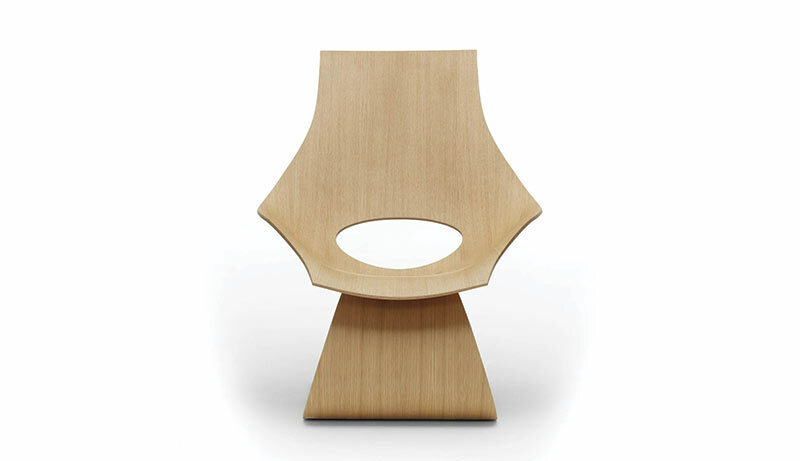 Pritzker Prize–winning Japanese architect Tadao Ando and Carl Hansen & Son teamed up to pay tribute to Danish furniture designer Hans Wegner, one of Ando’s own influences. Designed with a single piece of bent plywood atop a bent plywood base, the chair is also available in oak and American walnut with optional leather upholstery. Designed by professor and architect Anders Brix, Paustian’s Stack shelving system is made up of stacking elements that lock into each other, allowing the shelves to be assembled without tools. Elements are available in six colors and are easily reconfigured based on evolving needs at home or at the office. 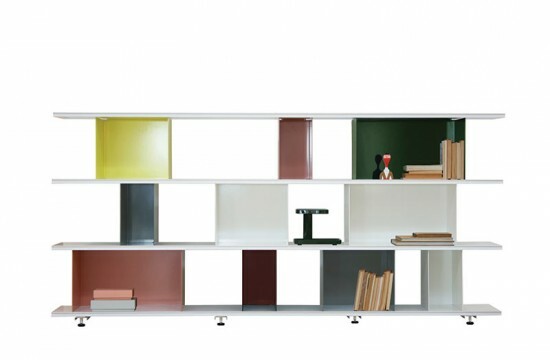 ColoRing Collection from Schemata Architects. Young Tokyo-based architect Jo Nagasaka, founder of Schemata Architects, reinterprets the traditional technique of Udukuri, in which a wood surface is polished to reveal its coarse grain pattern, applying bright paint leftover from construction sites before polishing the surface smooth. 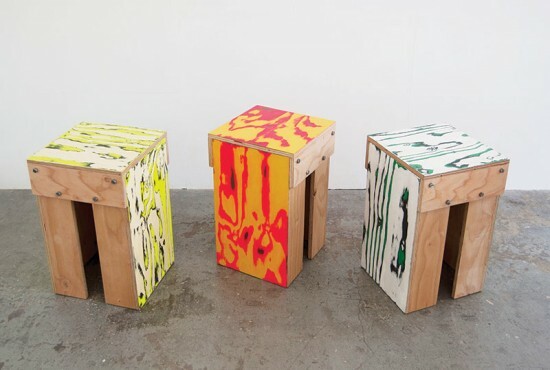 The collection includes a variety of tables, chairs, benches, and stools.